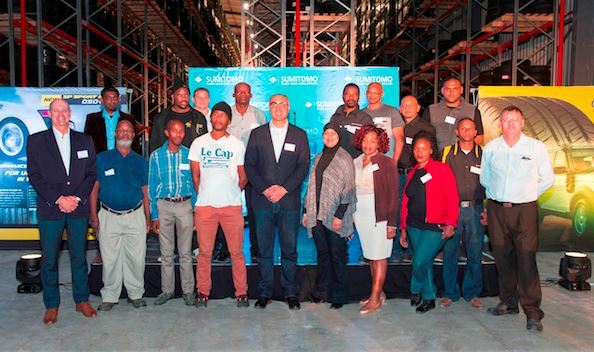 Dunlop SA recently officially opened its new 12 500 sq/m purpose-built warehouse in Cato Manor, Durban, which boasts storage capacity for more than 200 000 tyres and adds to the series of investments being made by Dunlop’s parent company, Sumitomo Rubber South Africa (Pty) Ltd (SRSA). SRSA’s flagship Dunlop brand, as well as its Falken and Sumitomo tyre brands will be housed at the new premises. Speaking at the opening event, SRSA CEO Riaz Haffejee said the move from the previous location in Sydney Road, Umbilo - which had been occupied for 80 years with Dunlop House being preserved as a heritage building - was spurred by the increasing demand for products in the rest of Africa, as well as to cater for anticipated growth in the supply of tyres to the automotive manufacturing sector. The property will house a 650 sq/m technical examination centre for on-site consumer quality testing, in addition to the 7 200 sq/m bonded warehouse facility. Earlier this year, the company announced a R2bn investment made by Dunlop SA’s Japan-based owners, Sumitomo Rubber Industries Limited, which is geared at upgrading, expanding and moderniszing its Ladysmith production plant. It is also in the process of upgrading and expanding capacity at its warehousing facility in Jet Park, Gauteng, scheduled for completion later this year.